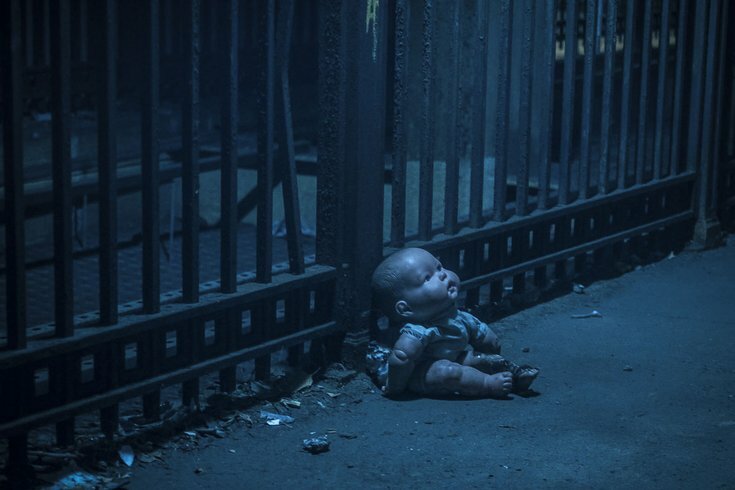 A doll lies abandoned in an unused SEPTA subway station. 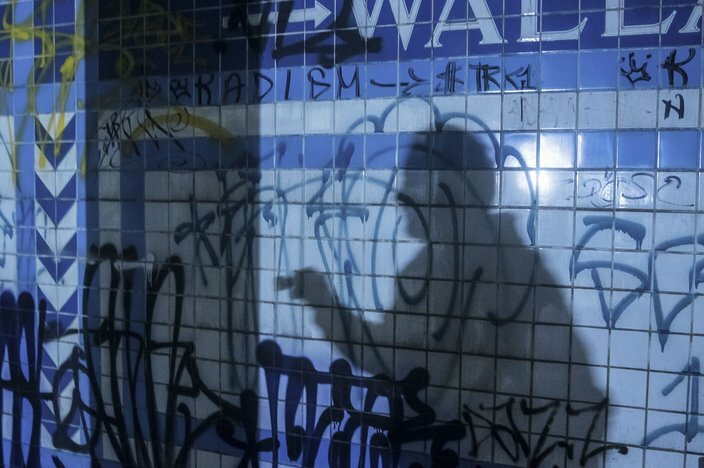 Long before there was a Mural Arts Program, the walls of Philadelphia's subway tunnels acted as a blank canvas for tagging. Long before galleries were selling "modern graffiti art" and celebrities were hanging it on their walls, there was Cornbread, a Philadelphian known as the first modern graffiti artist. And long before the SEPTA subway became the two-pronged system we know today, there were more stations and bigger plans. 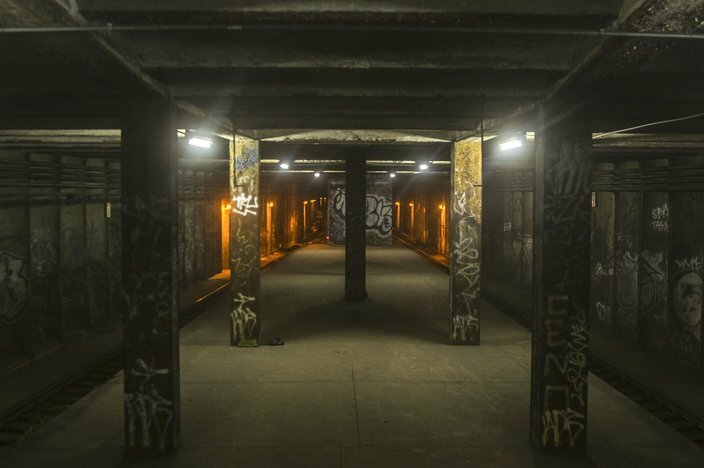 Trespassing on SEPTA property, including seemingly abandoned subway stations, is both dangerous and illegal. Do not attempt to do so under any circumstances. In 1913, Philadelphia Transit Commissioner A. Merritt Taylor proposed a rapid transit expansion plan for the city. The plan included add-ons to the Market-Frankford and Broad Street lines, plus what was then referred to as "the Center City Loop." This loop was to run from Broad Street and Fairmount Avenue down Ridge Avenue to 8th Street. It would then have run down to Locust Street, where it would turn west to 19th Street, north to Arch and then east again to connect with the Broad Street Line in a nice loop around Center City. Construction of the loop began in the early 1900s but was ultimately abandoned due to a lack of funds. In 1932, the Broad-Ridge Spur opened using sections of the tunnel that were completed. The section of the tunnel running from 8th and Market to 15th and Locust, now operated by PATCO, sat unused for nearly 20 years. The section of the tunnel under Arch Street was never put into use. 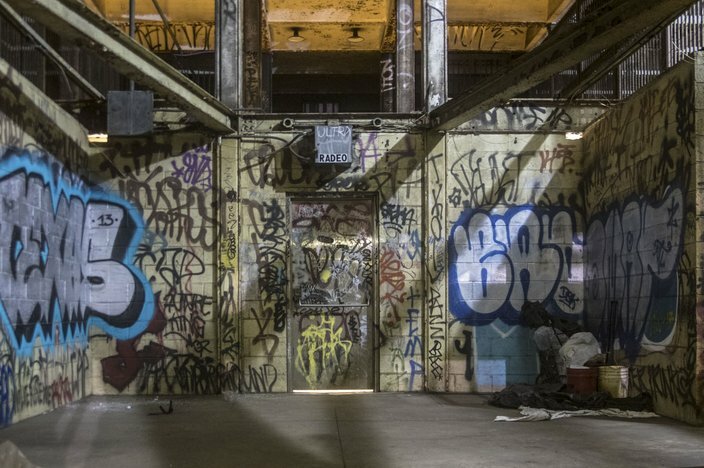 After decades of neglect, some of the unused stations were abandoned, eventually becoming havens for street art. Philadelphia is known as the birthplace of modern graffiti, beginning with legendary artist Cornbread tagging walls in the city in the late 1960s in an attempt to get the attention of a girl. Some of the city's oldest tags are on the subways' tunnel walls, with some even predating their station closures. In an effort to explore this abandoned art, I decided to check one out. 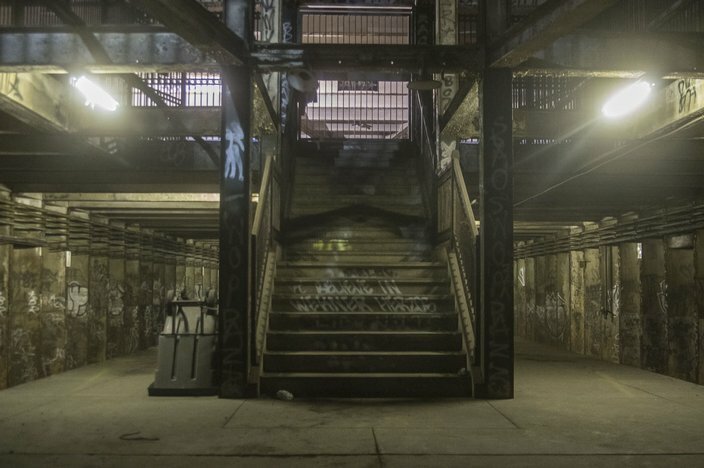 Accessing an abandoned subway station is not easy and, without permission, it is not safe nor legal. If you are caught trying to enter these places you will be arrested and will face up to $5,000 in fines and 5 years in prison. Though the stations may be abandoned, the rails are not. In addition to avoiding the police, one has to avoid speeding trains, an active third rail and the people who live down there. It is easy to become disoriented underground and in the dark. If the third electrical rail is active, you could be electrocuted. The tunnels are narrow so it can be difficult to judge what direction a train might be coming from. When trains pass they are so close that it is nearly deafening. When trains move through at higher speeds they move a lot of air, thus creating a vacuum that could pull you onto the tracks. 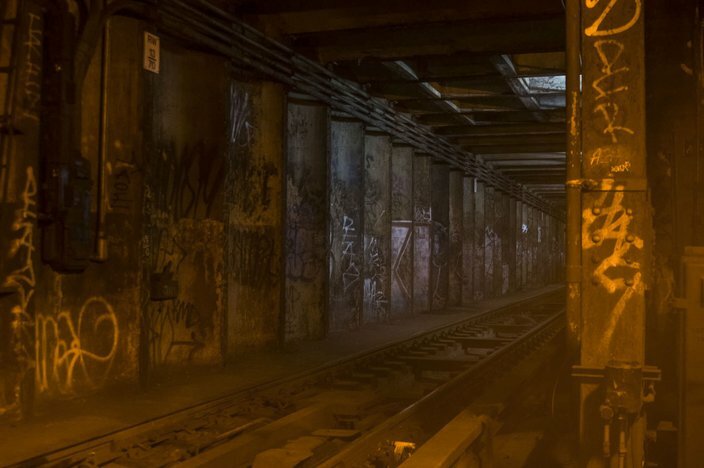 Do not attempt to walk in these tunnels or access any abandoned stations. Climbing to the mezzanine level of an abandoned subway station is like walking a balance beam to enter an art gallery. 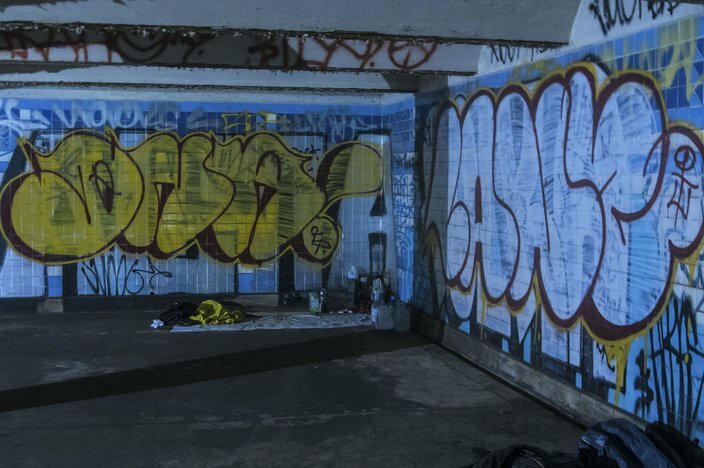 Well-known artists from across the U.S. have come to tag these walls. Some of the oldest works are dated from the early 1980s and the walls depict the evolution of Philly's unique wicked hand style, now known around the world. But of course this isn't an art gallery. It's an abandoned subway station and, like all abandoned places, it is creepy. The floors have so much dust on them that you leave tracks when you walk. There are dozens of pitch black hallways that lead to utility closets, bathrooms or long sealed off exits to the street. It is very dark in much of the space. 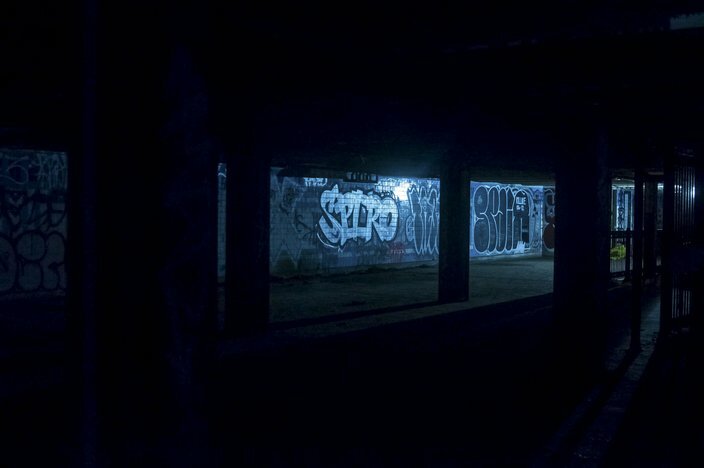 The places that have light are dimly lit with fluorescent utility bulbs, which reflect off the blue tiles lending it the feel of an abandoned mental hospital. There are small dolls and strollers and life-sized scarecrows in bed rolls, left behind by those who live in the tunnels to make areas seem occupied. Every time I turn into a dark passageway or open a door, my knife is in my hand. The longer I was inside and the deeper I went, the more sealed exits I found. The walls felt like they had moved in just a little more. The air felt a little thicker and I began to feel like I was in a horror movie. Re-entering the main concourse from an abandoned hallway I would notice an action figure or a doll where I hadn't noticed it before. One or two footsteps could be heard coming from one direction -- and then silence. Another set of footsteps from the opposite direction a minute later. Turn a corner and see a moving shadow. Turn another corner and hear a strange sound. After 30 to 40 minutes of guessing and second-guessing what I had heard, if I had heard anything, I had had enough.